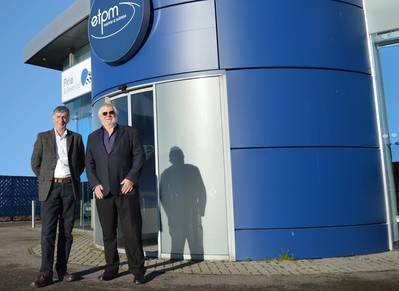 Subsea and marine recruitment specialist etpm has introduced two new key service lines and made two senior appointments to further grow and develop its service offering to companies operating in the current economic climate in the oil and gas sector. The latest editions to its offshore recruitment service are a specialist survey recruitment team and a dedicated ROV Division. These key areas have been implemented to meet high client and industry demand due to the hard to find nature of these disciplines. Two senior industry advisors, Mike Flaherty and Keith McGregor, have been appointed to help direct and increase the growth of these two recruitment divisions. Mike Flaherty has more than 40 years’ experience in the offshore survey industry and has held a range of management posts including operation and project management roles for some of the biggest players in the survey market. More recently, Flaherty specialized as a Business Development Consultant with a number of companies including Veripos, Viking Seatech and iSurvey. McGregor joins the company as a Specialist ROV Consultant. Since first casting an eye over a prototype underwater vehicle in 1977, McGregor has fulfilled a number of technical, operational and commercial roles within the ROV and underwater contracting business in the U.K. and overseas. In recent years, McGregor has held senior board level positions within market leading remote technology providers, including HMB Subwork, SubSea Offshore, Sonsub/Saipem and DeepOcean. He has developed a keen understanding of international subsea markets and has an extensive network of customer, competitor and supplier contacts. Flaherty will work closely with Heidi Palmer, Specialist Survey Recruitment Consultant based in etpm’s Great Yarmouth office.